Brightwheel plans to provide some more resources for our schools and families which will help this tax season - we'll be sure to get in touch with all of our schools once these are available, and update this article with reporting instructions. There's no need for a school to prepare year end reports for your families, as they have access through their own account. If the school's EIN is listed on the billing settings page, then it will appear on all of the parent's invoices. 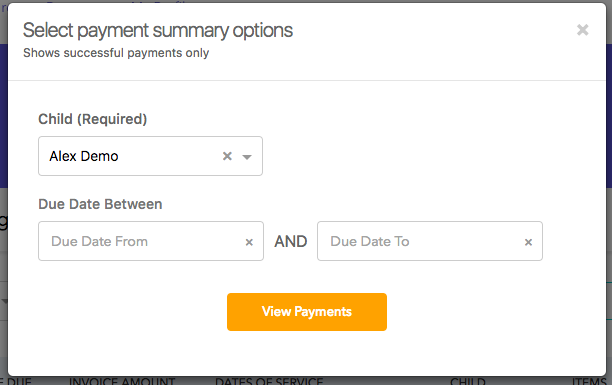 Note: Parent Payment Summaries are only available if payments were made online via card or ACH. 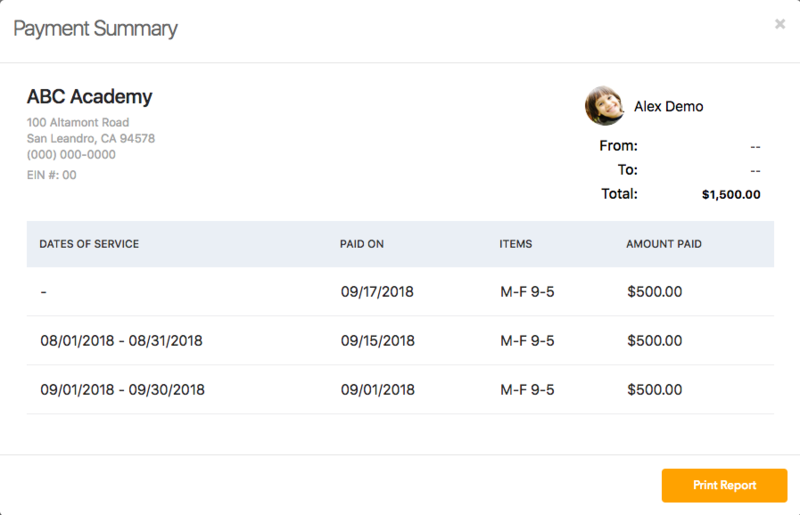 If the parent paid via cash/check you will need to generate the summary by filtering for their Fully Paid invoices on the Invoices tab and Exporting. They will then need to select "View Payments"
They will then need to enter the parameters and select "View Payments"
You will then see a summary of all payments made! You also have the option to print this report. If you as a school need to do more advanced accounting right now, then we also encourage you to use the "export to .csv" option on your Invoices page. Instructions for this can be found here.